WWE's Dean Ambrose To Return As A Heel? 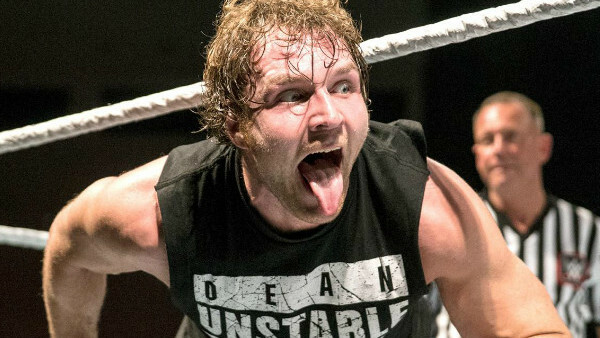 Could the Lunatic Fringe come back as a bad guy? BodySlam.net are reporting that WWE have planned a big return for Dean Ambrose when he makes his comeback following injury, that will culminate in a heel turn and possible challenge for the Universal Championship. It's claimed that the Lunatic Fringe, who is rumoured to be back from the triceps injury he suffered in December last year around August/September, will immediately turn in order to enter into a feud with one of his former Shield brethren, Roman Reigns or Seth Rollins. With recent reports stating current Universal Champion Brock Lesnar's contract is set to expire around SummerSlam this would all seem to make sense. Lesnar could drop the title to either Rollins or Reigns, return to the UFC, and we could see a new challenger for the main belt on RAW. A Rollins vs. Ambrose feud seems to be the preferred contest for fans, what with the Architect being arguably the most over wrestler in the company at the moment and it being a reversal of their roles from previous encounters a few years ago. It has also been suggested there could be a brief Shield reunion prior to this. Ambrose recently relocated to Alabama in order to be closer to WWE's medical facility and focus on his rehab. With SummerSlam taking place on 19 August, the aftermath of the PPV would seem like the ideal time for him to make his eagerly awaited return.